On Tuesday, June 27th 2017, Brandeis University announced it had received a $50 million bequest from the estate of Rosaline and Marcia Cohn. This gift is significant for several reasons. Since its founding in 1948, this is the first time Brandeis has received a gift of this size in a single donation. As per the wishes of the Cohn family, the money will go towards scholarships for deserving and outstanding students through the Jacob and Rosaline Cohn Endowed Scholarship Fund. This generous gift will allow hundreds of students to pursue their academic aspirations. Perhaps the most remarkable aspect of the gift is that nobody in the Chicago-based Cohn family had a direct connection to Brandeis University. 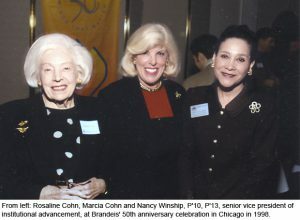 In 1951, Rosaline Cohn became a life member of the then Chicago chapter of the Brandeis National Committee. Her interest and support of the school, inspired by the first president Abram Sachar, continued to flourish. In true BNC fashion, Rosaline and her husband Jacob, who the fund is named for, chose to support Brandeis because of its values and commitment to academic excellence and openness. The future the Cohn family envisioned is filled with students that will carry Brandeis’ values with them as they go on to do great things. 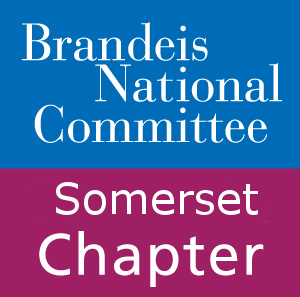 It is with these values in mind that the Brandeis National Committee would like to extend our thanks and deepest appreciation to our many members who did not attend Brandeis, but understand the unique experiences an institution of its caliber provides. Read the full story on BrandeisNOW. To continue supporting the Brandeis National Committee, libraries, student scholarships and scientific research visit BNC giving.